On the hunt for a Ram dealer in Plantation, FL? You’ve come to the right place! 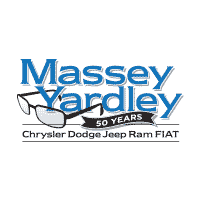 As your Ram dealer in Plantation, we at Massey Yardley CDJRF are dedicated to helping you find the perfect Ram vehicle for your life in the Plantation area. On this page, you’ll find more information about our extensive Ram inventory, our friendly finance team, and our convenient on-site service center. Read ahead to see what we can do for you on your next car-buying journey! Plantation, FL, is located in the Miami metropolitan area, meaning there’s plenty of things to do. Take your new Ram out to explore the surrounding Everglades National Park. Or, pack the family in to head to a round of golf at Jacaranda Golf Club. No matter what you’re looking for in your next Ram vehicle, our Ram dealer in Plantation, FL, has it in our showroom. We offer a wide variety of Ram vehicles ranging from commanding pickup trucks to reliable commercial vans that are perfect for your local business. 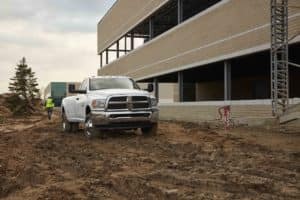 If you’re on the hunt for a pickup truck that’s just as comfortable on the worksite as it is on your weekend trips with the family, let us introduce you to the 2019 Ram 1500. This pickup truck offers the best of both worlds with a respectable fuel economy and an impressive towing capacity. Even if you’re looking for a used Ram vehicle, we have what you’re looking for. Check out our selection of quality used Ram vehicles right now on our website. Once you have your next Ram vehicle picked out, it’s time to consider how you’re going to finance it. 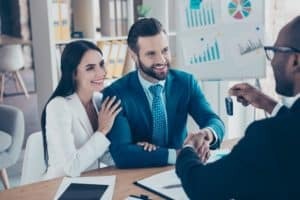 Thankfully, you’ll have the team of friendly finance professionals at our Ram dealer in Plantation, FL, by your side to help you through this whole leg of the process. They’ll sit down with you to learn more about your budget and lifestyle, and they’ll help you determine whether you should lease or buy. However you want to finance your next Ram vehicle, they’ll be there to assist you in locking in a way to do it. Servicing your Ram vehicle is a necessary part of being a car owner but that doesn’t mean it has to be a hassle. When your vehicle needs routine maintenance services, like oil changes and tire rotations, or even unexpected repairs, you can count on us to help you get it straightened out at our on-site service center. At our Ram dealer in Plantation, you’ll find a team of expertly trained service technicians who know your Ram vehicle inside and out. No matter how big or small your service needs are, they will get things back to normal and have you back on the road in no time. Schedule a service appointment today! Visit Your Ram Dealer in Plantation FL! As you can see, we at Massey Yardley CDJRF have everything you need to have an enjoyable and successful car-buying experience. We hope you’re ready to get started on finding your next Ram with us, now that you know what we have to offer. Get started right now by browsing our inventory right on our website. When you find something that you can see yourself in, contact our Ram dealer in Plantation, FL, and we’ll get you scheduled for a test drive!